Local news articles and videos can be found online at WEARTV.com and PNJ.com. “Activating the Church and Community by ReImagine.” Published on VFNtv. MILTON, Fla. (WEAR) — A local ministry is once again providing hope to those in need in northwest Florida. According to the group's Facebook page, Reimagine is a Pensacola non-profit organization dedicated to “reimagining” communities in need by providing citizens with resources and services necessary for catalyzing positive change. The outreach events provide free food for all guests to take home, free clothing giveaway, free haircuts, free diapers, a free lunch, free health checks and screenings, and much more. On Saturday the ministry hosted Reimagine Milton, where guests were offered HIV and Hepatitis C testing, fishing lessons and fishing rods, paper products, fingernail painting, baby diapers, hearing tests, horse petting and feeding, haircuts, and a carnival-type train ride along with free food and clothing. If you would like to get involved with Reimagine events you can call Linda English at 850-454-5280 or email linda@reimagineworldwide.org. >> CLICK HERE to view online. Reimagine Century’s goal was to breathe new life into Century, where the faithful reached out to touch the hearts and lives of area residents in need. The event included a wide variety of activities, including a 15,000 pound food giveaway, health screenings, youth and teen activities, free haircuts, baby diaper giveaway, live music, free lunch, haircuts, and much more. There were also children’s activities including inflatables, face painting, popcorn and games. All items, activities and events were free. Reimagine Century was sponsored in part by numerous organizations, including NorthEscambia.com. If you imagine it, you can make it happen. That's the inspiration that's taken hold in several of Escambia County's economically depressed communities through a series of Reimagine events that provide families a chance to see their communities in a new light. The Reimagine outreach events led by the Doers of the Word Ministry provide those in need the chance to receive food, clothing, haircuts and other services free of charge. Reimagine founder Linda English remembers vividly the moment those needs were met and the impact they can have on a life hit home. Heartbroken, English discovered the child had been sharing her pillow with her five brothers and sisters. At the next Reimagine event, the organization received a donation of 5,000 pillows from Turning Point Christian Fellowship, which were all sent to good homes within two hours of the event. English maintains her outreach vision to have each individual leave a Reimagine event with dignity and a little less weight on their shoulders to provide for their family that month. It’s important to the Reimagine team that all of the event volunteers treat attendees with respect and open arms. “Just because you are having a hard time doesn't mean we have to treat you differently,” English said. English and her husband founded the nonprofit after asking themselves what they were doing to help the community in their own backyard. The couple had been completing mission work in Peru for years, but had not yet felt they were making a difference in Pensacola. “We felt called to do this nonprofit, but in a way that allows people to reimagine their lives with no crime and no poverty," English said. "We were told early on by a pastor that ‘Doers of the Word Ministry’ felt very ‘churchy.’ This isn’t all about religion for us, so we adapted the name Reimagine for our first event in 2008. No matter what you believe, if you can reimagine your community in a better light, we hope you will support us." Though Reimagine Brownsville is presented by the Doers of the Word Ministry, it is the support of dozens of churches, businesses and volunteer groups that keep the program flourishing. English suggests anyone thinking about volunteering for the organization to attend a monthly event to decide how their group of friends, church members or co-workers could contribute in the future. “Whatever your passion is, bring it and we'll make it work!” English said. Scott Stillman, regular volunteer for Reimagine, has his own ministry called Mission Fishin’, where he teaches young and old how to cast a line. After obtaining a grant from the Department of Agriculture, he was able to provide 400 brand new fishing rods for the last Reimagine event. Every event he brings large aquariums and provides lessons to guests on how to fish. At the last event in Montclair, a young man asked one of the Mission Fishin’ volunteers where he found the crab in the aquarium. When the volunteer informed the young man he got all of the creatures in the aquarium at the beach, the young man looked perplexed, as he did not know where the beach was. This month’s event will take place in Brownsville from 10 a.m. to 3 p.m. Saturday at Oakcrest Elementary School, 1820 Hollywood Ave.
“Just come and bless people, don't expect anything in return. You aren't doing it for the thanks, sometimes we get an attitude, but we're coming to take care of the poor. As Christians we can get attitudes too!” English said. Teresa Guillory and her sister, Debbie Knox, both live in East Milton, and have three children and seven grandchildren between them. The sisters were among the hundreds of people who attended ReImagine Milton Saturday, despite the extremely cold and windy weather. "We just came by here to get some food," Guillory said. "And diapers and wipes for the grandbaby." ReImagine Milton presented long tables full of fresh produce, meats, cheeses, milk, juice and canned goods to those who are struggling to feed themselves or their families on a daily basis. Other tables inside the event also offered attendees haircuts, diapers, household toiletries, coats, and health screenings.  ReImagine is a national nonprofit ministry committed to improving the quality of life for local communities by sharing resources and the teachings of Jesus. "We know there are a lot of hurting people in the community, and Santa Rosa and Escambia counties have some of the highest poverty rates in the state," said volunteer Anne Poulsen. "I know for me and several other people that I am here with, we feel like we've received a blessing and it's important for other people to feel that too." Several bands played music as the event opened at 9:30 a.m., followed by a worship service before the food distribution began. Free hot dogs and bouncy houses were set up for the kids to enjoy while the parents made their way through the food line and resource tables. Community members who entered the food line received a medium-sized cardboard box to fill with items of their choice, after filling out a small registration form regarding their needs. For some of the larger families, the husband and wife would go through the lines separately in order to maximize the resources available, while others traveled through the line alone, collecting only a few necessary items. "It's not going to feed them forever, but it will get them through a little while," said Nancy Humphreys, a volunteer from Woodbine Baptist Church. "We have a lot of fresh food this year, which we don't normally get, which is great." When people went through the line, the volunteers encouraged them to take whichever fresh produce they prefer, and plenty of fresh bread, Humphreys noted. "There's a lot of need out there, and we don't have a clue how many people are going without food, and with all the food we have to give, there shouldn't be anybody that has to go hungry," she said. "It always works out, we just let God control it and know that everybody here is in the same mindset — we're here to help the people." Many of the people who attended the event aren't completely destitute, but are in need of some sort of supplemental assistance. "We're not going to go in and take a whole bunch, because this is a community and we are all just trying to help one another," Aaron Daniel said. "We're going to see what kinds of little things might help us around the house a bit." Daniel is a Milton resident and a teacher at King Middle School. He and his wife have five kids, with their ages ranging from 5 to 16. He was bundled up a jacket and hat, carrying a small empty cardboard box toward the food line. "You'll see all walks of life here today in this line, from doctors, teachers, on down the line," he said. "Milton does a really good job of bringing people together through the things it offers its people. I love this community and I wouldn't leave it for the world." ESCAMBIA COUNTY, Fla. (WEAR) — It might be hard to imagine with today's sunshine, but colder temperatures are around the corner. That means it's time to break out warmer clothes and stock up on food. But for some people, that's a price tag they can't afford. Oakcrest Elementary School could have easily been mistaken for a shopping mall Saturday afternoon. More than 100 people lined up and waited outside the school for the Reimagine Brownsville event to begin. Reimagine Brownsville founder Linda English says more than 18,000 pounds of food was handed to some of the area's less fortunate as the weather gets colder and holidays approach. Norma Cash lives in Brownsville. Cash looks forward to filling up her refrigerator each year. "It's just been a blessing to have them come out each year for the Brownsville community because people really need it," said Cash. The founder says the outreach event is held each year and it is one step closer to making positive changes in the community. "Reimagine does ministry in Peru, a third world country. We see people starving. We see people in need of food in that country but we have it right here in our own backyards," said English. With music playing and shopping carts on the move, volunteers handed out food, water, clothes and even free haircuts as the weather starts to change. The founder says the Reimagine Brownsville event is supported by dozens of churches, businesses, and volunteer groups. Chris Vickery says he volunteered to bring hope to a smaller community. "There is something about giving and receiving. It is hard to receive but it is so much easier to give and it'll feel your heart up to do this," mentioned Vickery. Cash was very thankful for the group and says it's nice to see people thinking about others. "They've been doing it for a while now and I just hope they can continue doing it as long as God wants them too," Cash explained. The founder of Reimagine Brownsville says the event is all about lending a hand to people who need it most. "These people have been here since six o'clock this morning to get food for their kitchens, for their family and so that's what we are here for," English said. If you would like to get involved with Reimagine Brownsville or would like to help you can call Linda English at 850-454-5280 or email linda@reimagineworldwide.org. You can also visit reimagineworldwide.org to donate.